Last month, senior Swapnil Garg was invited to participate in the Romanian Master of Mathematics competition, held Feb. 21-26 in Bucharest. He followed up this already-impressive feat by being one of just 10 competitors worldwide to win a gold medal. 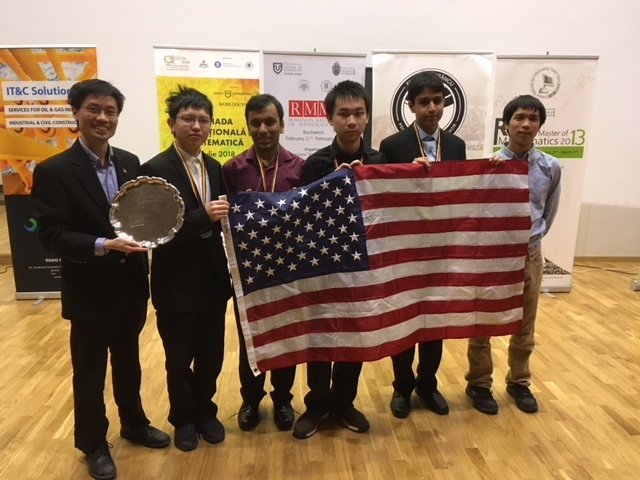 Garg’s performance in the competition also helped the United States team take first place overall. Receiving an invitation to RMM is a major achievement for math students, who must first perform well enough in the team selection test (TST) or team selection exam (TSE), which is taken by students who place among the top competitors in the USA Mathematical Olympiad.